I will design a ceremony with everything you asked for. Jacklyn is warm, friendly & flexible. She enhanced our romantic beach wedding conducting a fun & happy ceremony. Jackie was an amazing celebrant for us. We got a lot of positive comments from our guests. She was warm, funny and genuine not to mention very affordable. I would highly recommend Jackie!! 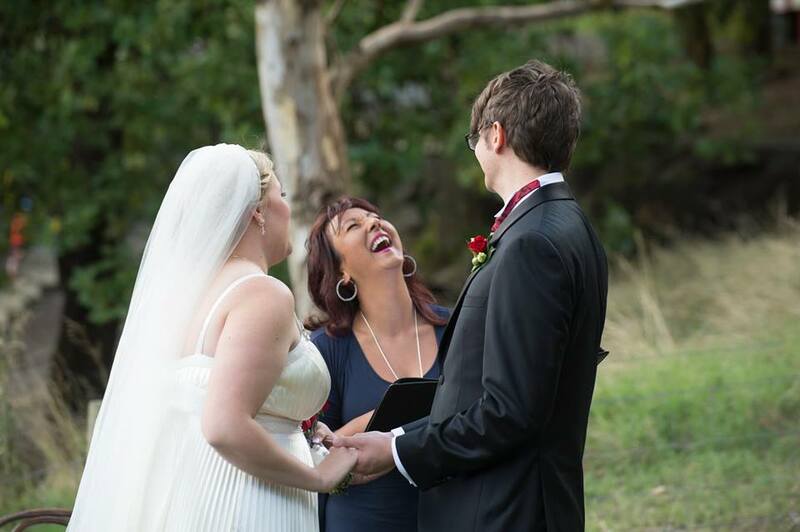 Our wedding day wouldn’t have been complete without our wonderful celebrant Jacklyn. Not only did Jacklyn go above and beyond for our ceremony but also through the reception being our MC. Not to mention the huge part she played in helping us get organised, planning and her all over advice was much appreciated. All of our guests have commented on how bubbly and she is. We can not recommend Jacklyn enough! 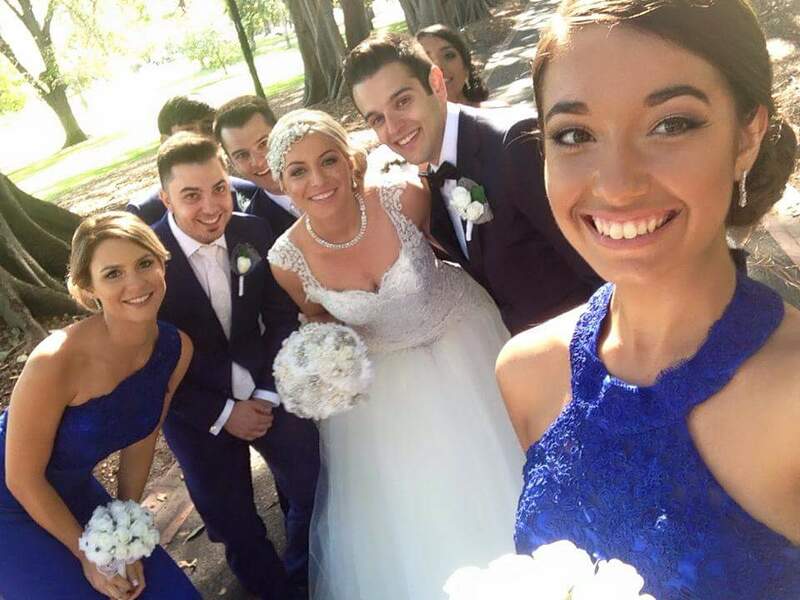 Jackie was such a wonderful celebrant and I would recommend her to anyone! She personalized our vows and was happy to change anything we weren't sure on, she has wonderful ideas and made our wedding day fun and relaxed like we wanted it! I am so happy she married us! Jacklyn did the honor of marrying myself and my now husband and we wouldn't have wanted anyone else. Jacklyn captured our love for each other and all the emotions we shared on that day and made it apart of our ceremony. It was truely beautiful and a day we would never forget. All about love has provided us a memorible time at my friend's winery. we enjoyed the laugh, romance and love. it was the great service on that day. Jacklyn was everything we wanted out of a celebrant and more. She was absolutely lovely and attentive to what we wanted, and extremely understanding in many sensitive areas for us. I really cannot recommend her enough! Jackie was a delight to deal with. She was enthusiastic about our ideas and had lots of good ideas of her own that we used in our ceremony. My wife and I were very pleased with Jackie and would highly recommend her to all. We used Jacklyn from All About Love Celebrants when we married 3 years ago. As an older couple and not our first marriages, my husband & I didn't want a fancy ceremony. As there was only going to be the two of us, we wanted an intimate ceremony just for us as we made our commitment to each other. Jacklyn made everything perfect. It was such a beautiful wedding and very emotional for us both. We had the registry style ceremony but it was so much more. Jacklyn provided our witnesses and her property on the lake is a perfect setting for our wedding. Our wedding day was everything we wanted it to be Thank you Jackie, You made our wedding day perfect and we will be using you again when we renew our vows. I had a great experience with Jacklyn, great care and everything we need for our special day, the prices and the kind of service we are getting is worth every penny. definitely will recommend the business for sure. a great thanks to Jacklyn for the great service given to me. Quick and efficient. Till now the series has been good. I have not used the contractor yet but have met and am happy and satisfied thus far. Gav & I just wanted to thank you for the fantastic ceremony you conducted for our wedding. Honestly, we could not be happier! We loved that right from the start, you really listened to what we wanted our wedding ceremony to encompass and the atmosphere we hoped for. You totally embraced our wishes for a casual, laid back ceremony where we could tie-the-knot in a relaxed, intimate setting amongst our family and closest friends. You personalized it with little stories and humour - and you did it perfectly. We all knew that our decision to include our two toddlers and our two dogs in the ceremony could lead to disaster - but for us, there was no other way. We had to have ALL our children (both two and four legged) with us for this special moment in our lives. The professionals say "Don't work with animals and children." The professionals may not be able to do it, but Jackie you did a great job of it. Even when our son decided to steal the show! You handled it brilliantly and we wouldn't have changed a thing. Thanks again Jackie, it was so nice to have had someone so warm, professional and caring help to make our day perfect. We will definitely call you when we renew our vows. Where do we begin? We figured that it would be fitting to start with a massive THANK YOU! With the very first phone call, you made us feel at ease. We then met for the first time in our home, but we felt as though we had known you forever. Instantly, you made us feel comfortable, relaxed and free. It was then that we knew that we had made the absolute right choice, in having you as our celebrant, on the most magical day of our lives. But you were more than just a celebrant. You were a guide and a nurturer. You taught us about things that we had no idea about, and always made yourself available to share your advice, knowledge and experience. What we expected to be a stressful time, you made seamless. Always in good spirits, you knew how to make us smile and laugh, and for this, we thank you most. While our day has come and gone, we will cherish the memories forever, and hope that you stay in touch with us in the years to come. Jackie, Thank you so much for our wedding on the 10th of January. Everyone there have remarked that the ceremony and the day is one of the best and relaxed weddings they've been to. Exactly what we wanted! And you set the scene for the day with the ceremony. ecks and I just wanted to say thank you for a great ceremony. it was our favourite part of the day. Everyone has told us that they loved the relaxed but loving atmosphere you created and despite the heat they really enjoyed the ceremony. I hope you coped ok in the heat and we really appreciate all your work and effort in making it the most amazing day for both of us. I have a few friends over here that I think may tie the knot in the future so I will recommend you strongly to them. Thanks a million! Thank you so much for all your work and time you put in to our wedding ceremony . The ceremony was everything both Tony & I ever wanted and more! The guests could not stop saying how wonderful you were!! All I said was" I know, she is fantastic!! " We loved all the laughter from our guests about them having to take a vow to have fun, My uncle did take his vows seriously and ripped up that dance floor all night long!! and yes there were a few headaches the next morning. But happy to say it wasn't me or Tony. Thank you for making this experience a calm and relaxed one! When you suggested to right our own vows, first I went I don't think so, I like yours. But the more we went over them the more we thought we can do our own vows! With your help and suggestions we got our light hearted and loving vows we wanted and the ceremony we wished for. Thank you for being our wedding celebrant, we could not have asked for a more wonderful person to help us start our new lives together. Thank you Jacklyn. Amongst all the mayhem on Saturday, I didn't get a chance to thank you properly for everything you have done. You were fantastic! You were very easy to deal with and even though we kept making last minute changes, you went with the flow and pulled off our perfect ceremony. So thank-you! We've had a lot of people compliment us on the ceremony and comment on how good our celebrant was. Thank-you again Jacklyn. We are very grateful. Thankyou for everything you did to get us to the place we wanted to be. You were a special part of our beautiful day and we thankyou from the bottom of our hearts. I recommend Jacklyn for any couple out there looking for a celebrant who takes the time to listen to what you would like and suggest ways to create the ceremony you want on your special day. We could not have asked a more caring and helpful celebrant to help us organise our wedding day. The distance between us who, at the time lived in Mackay Qld, and worked away at the mines on roster, and Jacklyn in Melbourne was not noticable at all. Jackie worked with us to develop a ceremony very special for us. It was appropiate to us and where we were at that time. It also involved our family and friends which meant a lot to us and them. We had a great day as did our guests. Not forgetting the wedding flowers that you created for us at the last moment as I had been so busy with other things had overlooked. our wedding was truly magical to us and for that i thank you. Thank you for bringing our wedding to life over the weekend. You made our day a very special one, and we appreciate your flexibility in incorporating the last minute changes and most importantly for waiting until all our guests arrived before commencing the ceremony. Hi Jackie, Just wanted to let you know how much we loved the ceremony you did for us. I had lots of positive comments from guests - most commonly we heard 'this is the best wedding ever'. They loved the fun aspect and the fact that there wasn't a moment of boredom. So keep up the good work and I'll be sure to recommend you to others. Thank you so much for our beautiful wedding yesterday. It was exactly as we wanted it and you made that happen. And our heartfelt thanks to Kerrie, her son (he took some awesome photos for us so thank him from us) and your husband Sam for making our day so special. We will never forget it. We were so relaxed and so very happy. Jacklyn, Just sending you a quick thank you! 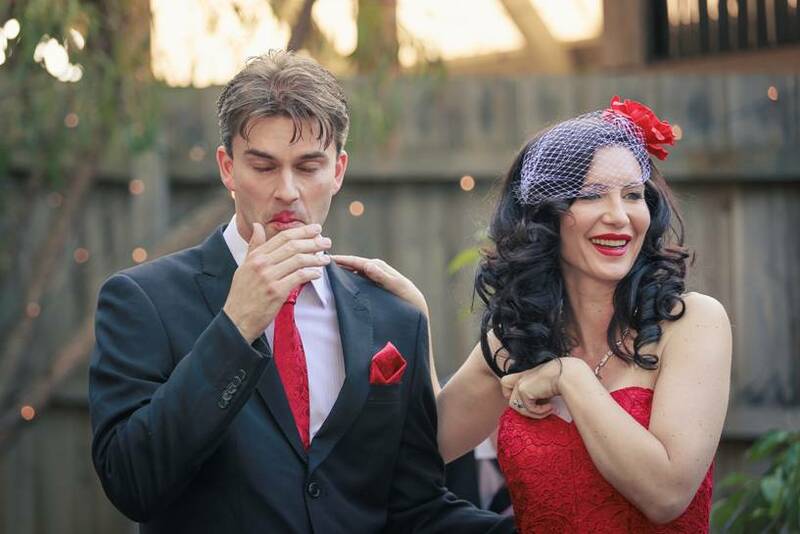 You made our ceremony very 'us' and we haven't stopped hearing about how wonderful it was from all of our guests! You made our day...we can't thank you enough. All the best for the future & All our love. Hi Jackie, I just wanted to send you a quick email to thank you for doing such a wonderful job on Saturday. We were so pleased with everything and have received so much positive feedback from our friends and family who all absolutely loved the ceremony. It was really reflective of us as a couple and we couldn't have asked for anything more. Thanks again and we would definitely recommend you to our family/friends. Thank you very much for all your time and effort in our wonderful wedding day. From the moment we met with you both Grant and I knew we were going to pick you. Your bubbly happy personality was exactly what we were after for our special day. It was such an easy process which was great as we had no idea what to do and you made it easy to put together the wording for our vows and ceremony. We both appreciate your support on the day, whether it be talking to guests or helping Grant with the marquee. Thanks so much again, you really did make our ceremony special. Hi Jacklyn, Amongst all the mayhem on Saturday, I didn't get a chance to thank you properly for everything you have done. You were fantastic! You were very easy to deal with and even though we kept making last minute changes, you went with the flow and pulled off our perfect ceremony. So thank-you! We've had a lot of people compliment us on the ceremony and comment on how good our celebrant was. Thank-you again Jacklyn. We are very grateful. Hi Jackie, Thank you for bringing our wedding to life over the weekend. You made our day a very special one, and we appreciate your flexibility in incorporating the last minute changes and most importantly for waiting until all our guests arrived before commencing the ceremony. Hello Jackie Thank you so much for our beautiful wedding yesterday. It was exactly as we wanted it and you made that happen. And our heartfelt thanks to Kerrie, her son (he took some awesome photos for us so thank him from us) and your husband Sam for making our day so special. We will never forget it. We were so relaxed and so very happy. Hi Jacklyn Wow we did it we are married. :) Dan and I wanted to say a massive thank you to you for the perfect ceremony. You were just perfect and we had comments like: "we have been to a lot of weddings and she was the best celebrant we have ever seen" "she was so happy and even walking in bare feet" ha ha so was I by the end of the night. Thank you again for making our day so so special - we will send you a copy of the picture of you dan and I when we get back from our honeymoon.